Matthew is an Associate specialising in all areas of Private Client work and, in particular, advises on Wills, Probate, Lasting Powers of Attorney, Registering Enduring Powers of Attorney and Estate Planning. He qualified as a Solicitor in September 2015 after studying in Bristol gaining a BA(Hons) Business Degree in 2006. Subsequently he attended The University of Law in Bristol in 2011 and gained a Graduate Diploma in Law and completed the Legal Practice Course in 2012/2013 gaining a distinction. Matthew joined WBW Solicitors in 2013 and undertook his training contract here, working within Private Client, Property and Litigation. 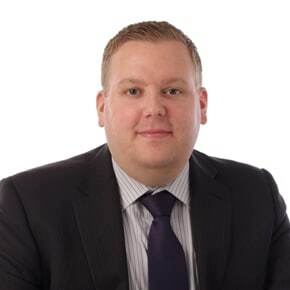 Matthew has worked in a variety of industries pre-law including recruitment, sales, retail management and marketing. He enjoys travelling to far flung destinations and his main passion is sport, in particular tennis, squash and football. Matthew also enjoys reading and the theatre.